For Samsung, it may indeed be a case of third time’s a charm as far as its Gear VR headset goes. The third iteration in less than 18 months includes a remote control, but also effectively makes its two predecessors obsolete. The partnership with Oculus may have finally borne fruit if what was shown initially here is consistent moving forward. 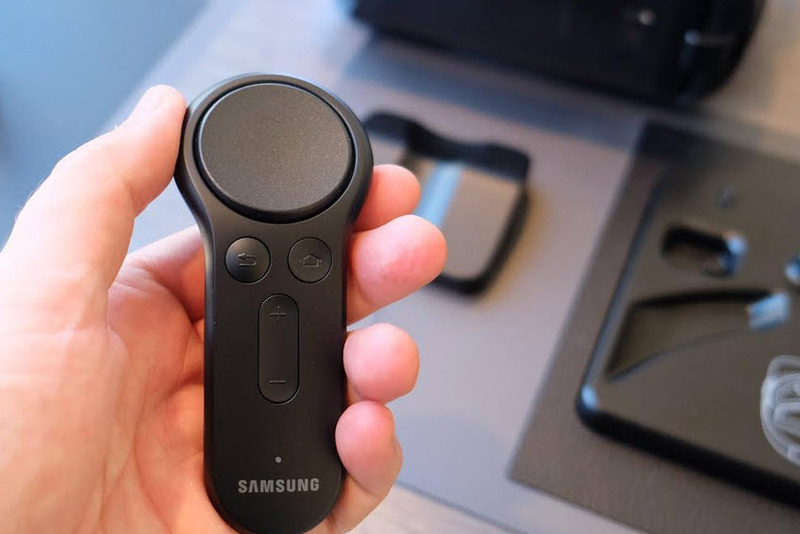 Adding a remote is Samsung’s answer to Google’s Daydream View headset and its excellent wireless remote. The design more or less looks the same as the model unveiled last summer alongside the ill-fated Note 7. At the time, that phone was Samsung’s first to use a USB-C port, so the headset came with an adapter to work with older devices using microUSB ports. That hasn’t changed here, since this version is intended to be backward compatible with previous handsets. Button placement, the docking mechanism and even the colour, all look identical to the last iteration of the Gear VR. The remote is the most significant difference physically, where even the strap has a special holder to keep it tucked in when in tow. The biggest change appears to be software performance, and it is noticeable. The Oculus Home app still acts as the content repository for all things Gear VR, except a number of tweaks make it more efficient. First, Samsung says loading times have been cut down significantly, but it’s not entirely clear if that refers to all compatible phones running the software, or only the Galaxy S8 and S8+. Second, the software will be displayed at double the resolution, even though nothing has changed on the newest phones themselves. And third, the greater efficacy positively affects battery life, meaning the connected phone won’t die as fast. There was no way to test much of that in a hands-on, but the visual difference did appear to be accurate. Pixels are still visible, though smoother than before. Load times also felt faster, except I had limited access to content on the Galaxy S8 that was mounted in it. I played a couple of games, experiencing no lag or framerate drops at all. 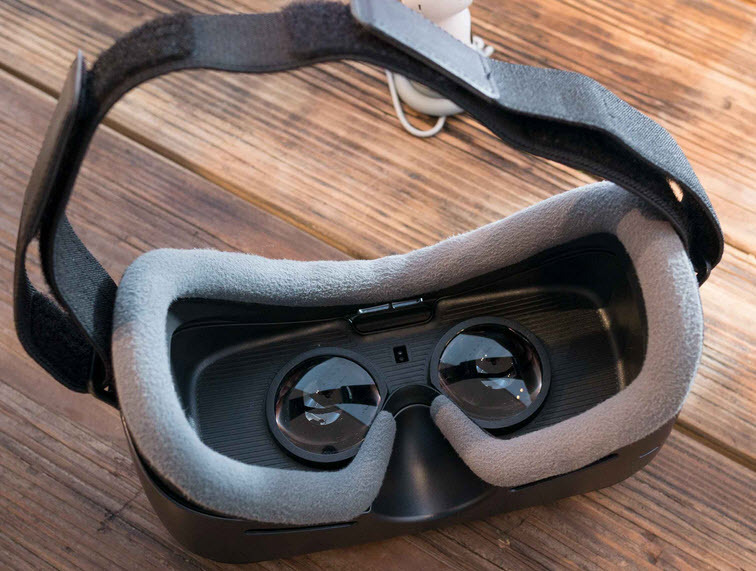 The avatars Oculus introduced in the Rift headset are now available in the new Gear VR. A new web browser is supposed to simplify search, while a direct video section will cut out a useless step of opening Samsung’s VR video app so that you could open them from the Home screen instead. 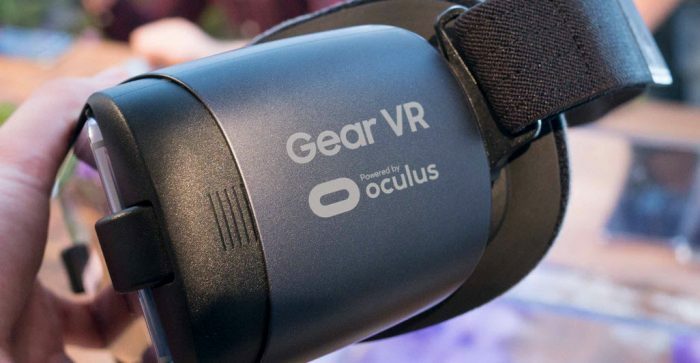 Up to 70 new Gear VR titles with controller support are reportedly coming to the Gear VR, 20 of which will launch in April and another 50 rolling out in the months to follow. 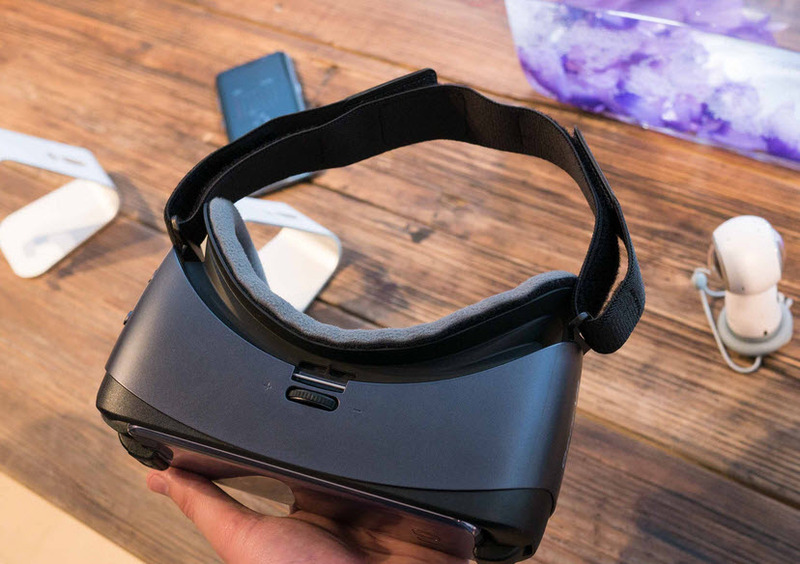 The Gear VR’s remote alters what was otherwise a somewhat cumbersome navigation experience in the previous models. Doing away with moving only your head to choose something and then pressing a button to select it, the remote is a simple point-and-shoot peripheral. The trigger button makes selections, while the circular trackpad on top helps speed up filtering through options. The back and home buttons are obvious, and volume rockers are always nice when wearing a pair of headphones to immerse further into whatever content you’re enjoying. Shooting zombies and reloading my gun felt fluid and natural — not altogether different from Google’s Daydream View. I may be wrong, but I did not see a way to centre the screen in case it misaligned with your head. I tried pressing button combinations in case anything unique happened, but nothing did. It never did really lose its alignment, but I can’t be sure without a proper testing period. Either way, the interface was responsive to the controller. It wasn’t too sensitive and with the laser-pointer visuals that popped up on occasion, it felt a lot like the View’s controller. What was especially obvious was that I barely moved my head when looking at menus in stark contrast to how Oculus Home functioned sans controller in the past. The 101-degree field of view is the same, and I sensed no difference in weight. I’m also still not a fan of the overhead strap because of the ‘VR hair’ it causes.